These are the bills we have been working on or watching. Bold indicates bills that passed on or before crossover day (02/28/18). Typically, a bill must pass out of one chamber to the other before crossover day to have any real chance of moving forward. HB 703 – Creates the Office of Public Safety Officer Support (passed the House and pending in Senate Public Safety Committee) Amends OCGA 24-5-510 and Title 35 by adding a new Article 8 OCGA 35-2-160 through 35-2-164 creating this office within the Department of Public Safety upon funding approval. Passed the House by Floor Substitute. HB 889 – Makes GA Indemnification qualifications parallel federal indemnification qualifications (did not pass the House) Proposed to amend OCGA 45-9-85 to allow heart attack, stroke, or vascular rupture to qualify for the state indemnification if the cause is directly or proximately related to a work-related activity. SB 228 – Sets penalties for certain violations in operation of emergency vehicles (passed the Senate and pending in the House Appropriations Committee) Proposes to amend OCGA 40-6-6 and 40-8-94 to set penalties for elected officials who order a driver of an emergency vehicle to operate under emergency conditions in violation of the law. Committee assignment in the House would indicate this bill is DOA due to professional conflict between Speaker and Senator McKoon. SB 254 – Mandates minimum pay for deputies equal to state troopers (did not pass the Senate) Proposed to amend OCGA 15-16-23 requiring the minimum annual salary for a deputy to be not less than that of a state trooper. Also amended Title 45 creating a new chapter 25 establishing a Local Law Enforcement Officer Compensation Commission and mandating all city and county law enforcement agencies and sheriffs’ departments to provide salary and benefit information as directed by the Commission. 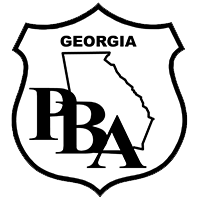 SB 366 – Mandates salary data for city and county law enforcement agencies including sheriffs’ departments be sent to GA DCA (passed the Senate and pending in the House Appropriations Committee). Amends OCGA Title 36 by creating a new chapter 77 requiring city and county governments provide salary data for all employees of law enforcement agencies including sheriffs to the Department of Community Affairs. However, ACCG and GMA compromised the bill to some degree and only time will time how meaningful the data will be. Committee assignment in House Appropriations may forecast trouble for this bill too. SB 367 – Mandates GA Indemnification to be paid to officer’s estate (passed the Senate and pending in the House Public Safety and Homeland Security Committee). Amends OCGA 45-9-85 to payment to be made to an estate and the administrator to determine lump sum or not. SB 369 – Mandates clerk of courts to collect $5 fee for POAB in all diversion programs (passed the Senate and pending in the House Judiciary Non-Civil Committee). Amends OCGA 47-17-60 to require the collection of $5 prior to the adjudication of guilt for purposes of pre-trial diversion pertaining to any criminal or quasi-criminal case.